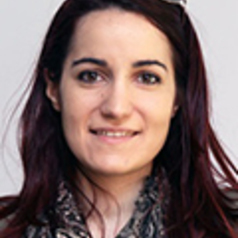 Following a career as a marketing practitioner in the sports industry, working with clubs such as AEK Athens and Middlesbrough FC and events such as the Open European 470 Championships, Elisavet joined academia in 2013 when she commenced her PhD in Integrated Marketing Communications in Sports (Teesside University). She has since lectured in institutions such Loughborough University, University of Liverpool, Teesside University and UCFB, before joining Loughborough University as a Lecturer in Sports Marketing and Communications. She holds a BSc (Hons) in Accounting and Finance from the Athens University of Economics and Business and an MBA Football Industries from the University of Liverpool. Elisavet currently sits in the Board of Directors of the Hellenic Scientific Association For Sport Management & Recreation. Elisavet’s research has been focused on marketing communications management practices, such as IMC, branding and CSR promotion in football. Following the recent scandals in Greek football, Elisavet has also conducted research on the match-fixing and economic mismanagement in Greek football clubs.